In a postcard location of Grand Canal, Venice, Italy, you can spot Ca' da Mosto. It is a 13th century palace that carries Venetian-Byzantine architectural style. You can observe many high arches in this palace which showcase the old architectural charm in a wonderful way still now. 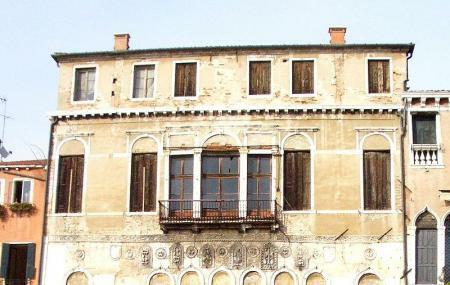 The eminent Venetian da Mosto family used to own this palatial mansion originally. While continuing his sojourn in Venice, Joseph II, the Roman Emperor stayed in this palace twice. The palace is well maintained and deserves to be clicked. The Ca' da Mosto is a thirteenth-century palace in Venice, northern Italy, the oldest building on the Grand Canal. It is in the Veneto-Byzantine style, with high narrow arches and distinctive capitals. Geat place! Worh to see!